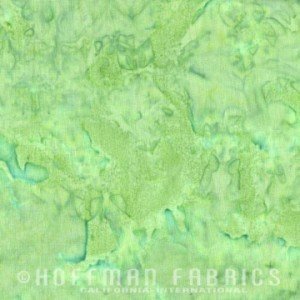 Tones of mint green watercolor Batik from the Bali Watercolors Collection by Hoffman Fabrics. 100% cotton. 44-45" wide.